On the field or off, it takes all you've got to be a winner. If anyone understands the phrase "tough luck," it's Harrison. As a foster kid in a cruel home, he knows his dream of one day playing for the NFL is a long shot. Then Harrison's luck seems to change. He is brought into a new home with kind, loving parents -- his new dad is even a football coach. 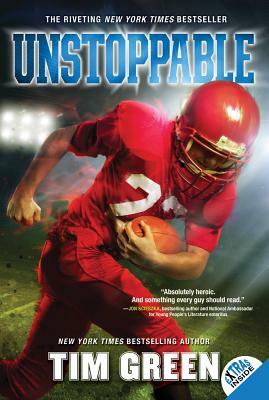 Harrison's big build and his incredible determination quickly make him a star running back on the junior high school team. In no time, he's practically unstoppable. But Harrison's good luck can't last forever.